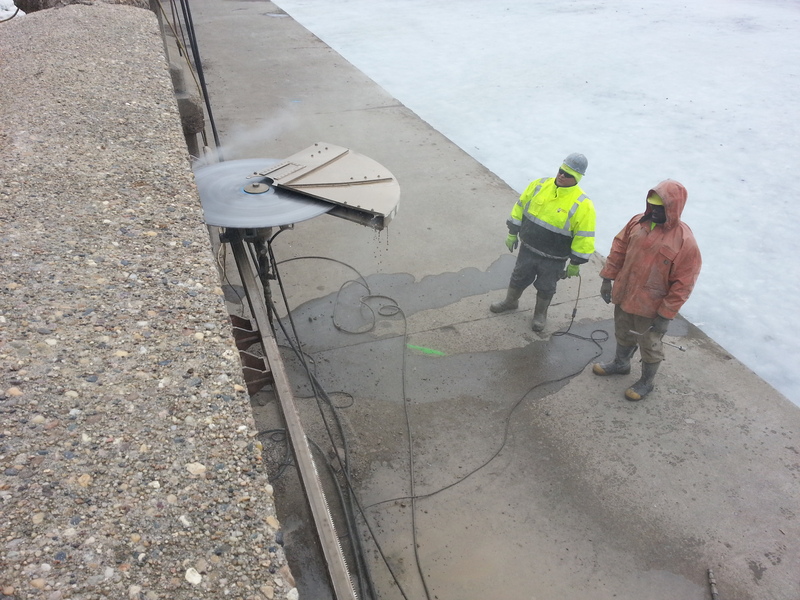 In March of 2013, work began on the WRA New Main Outfall project along the Des Moines River. 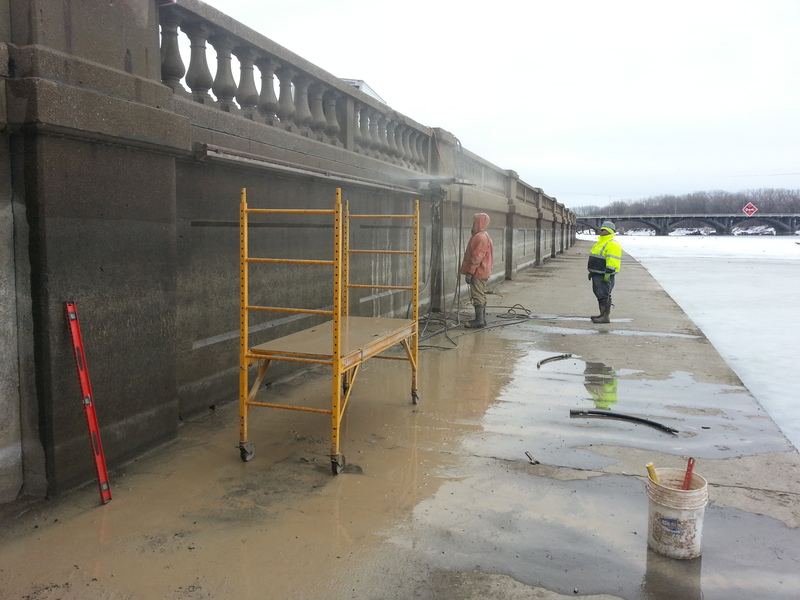 The first step of this project was to remove approximately 80 feet of the river wall on the East side of the river and approximately 55 feet of river wall on the West. 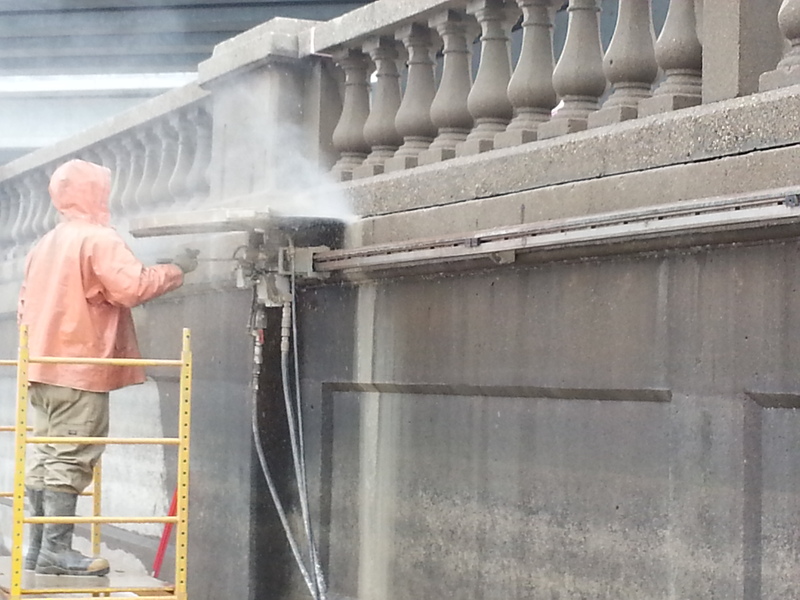 The historic balustrade railing needed to be cut and carefully removed for reinstallation after the new river walls were installed. 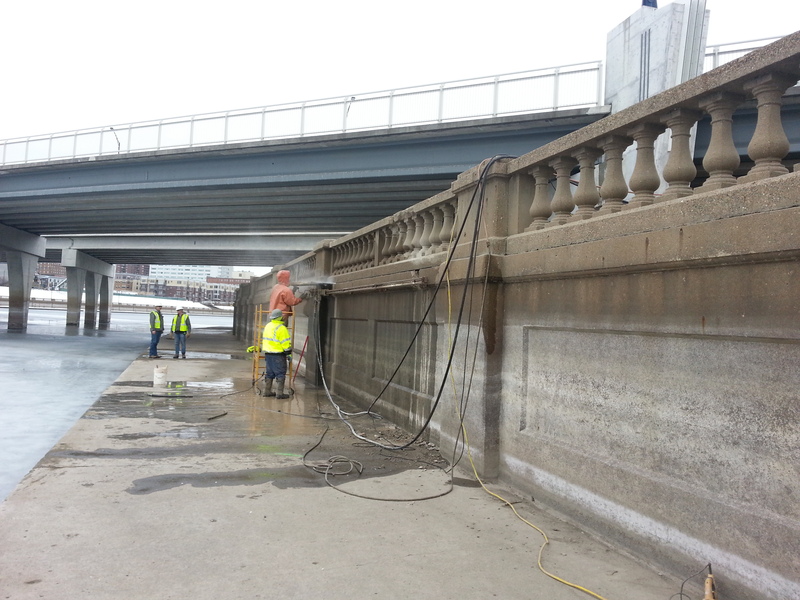 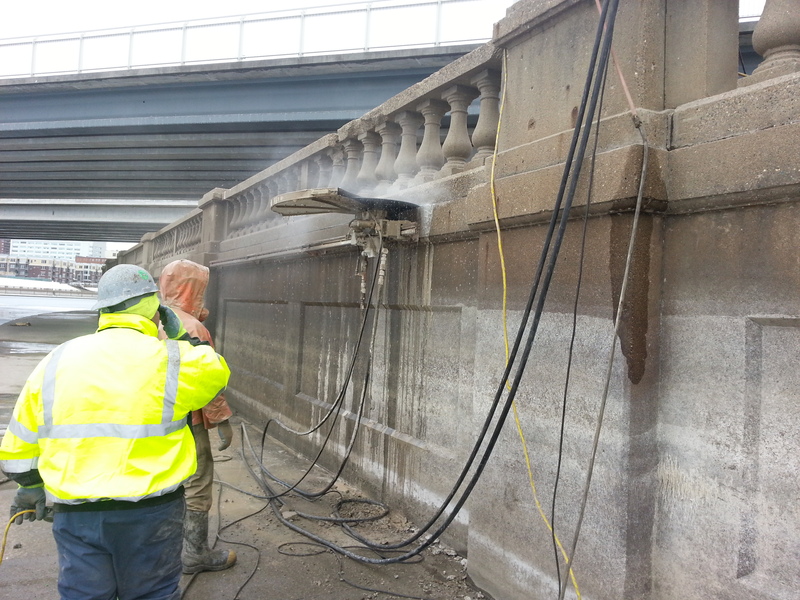 Henriksen Contracting was hired by the prime contractor, Oscar Renda Contracting, to perform the sawing of the balustrade railing and the sawing of the river walls, pilasters, and river box for removal to install a series of new concrete pipes running beneath the river bed.